Virginie Courtin is not only at the head of the house of Mugler, but she is also a beauty expert as the granddaughter of Jacques Courtin-Clarins, founder of the Clarins skincare empire. Now 8 months pregnant with twins, we asked her everything we wanted to know from her pregnancy beauty routine to her favorite spots in Paris. What has been the most exciting part of your pregnancy? When my husband and I discovered that we were expecting twins (after only 2 months of pregnancy), for a few minutes we were shocked and couldn’t speak and then we cried of joy.. And we are so happy to have 2 babies at the same time and especially because it’s a boy and a girl. What more could we have asked for? I couldn’t attend my sister’s wedding in Portugal as my doctor didn’t want me to travel after 7 months of pregnancy. I was very sad not to share this unique moment with her and her husband. I am very strict with my beauty routine as my grand father -the founder of Clarins – dedicated a lot of his time and expertise for pregnant women. 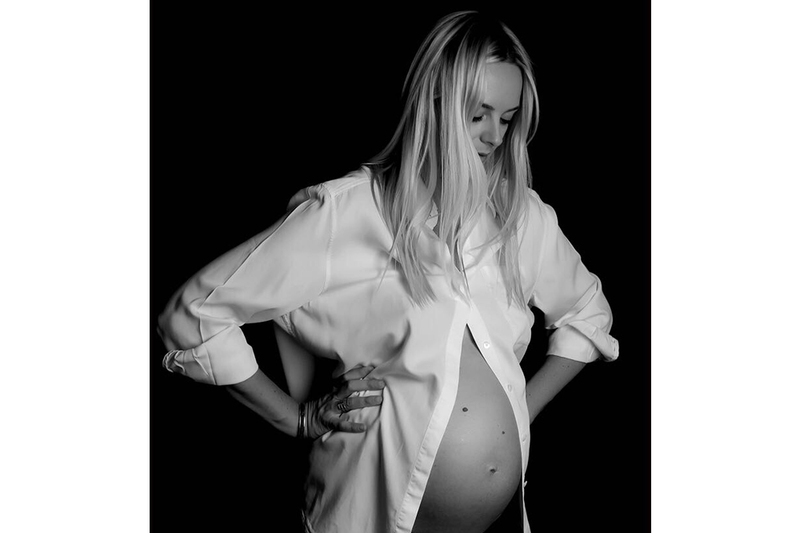 He even wrote a book called ” Donner la vie en beauté” (Giving life beautifully) that is given in all the Clarins pregnancy kits and you can find all the beauty tips you should know while being pregnant. Every day, twice a day I use the Tonic Oil which is a 50 years old classic and according to me is the only product in the world that can help you to prevent the strechtmarks (especially with 2 babies in the belly!). I use also the Super Rich Balm to moisturize on my body and the Energizing Emulsion on the legs for the water retention.For my face I have kept my ususal beauty routine with the Mutli Active cream and the Double Serum. You are expecting twins, how did you manage to stay in shape? Has there been any specific work out? Still Boxing? I swim every day. And I try to do Yoga once a week. I didn’t like to swim before being pregnant but now I feel so good when in the water that I became addicted and I hope to keep this routine after the babies are born. I go twice a week to the Spa! Some weeks even more! I go to the Clarins Spa of the Royal Monceau Hotel where they do the Prgenancy massage by Clarins, it feels so good and so appropriate it’s always my favorites times of the week to go there. What has been your pregnancy style? I started to have a big belly during summertime, and I went to the South of France next to Saint tropez during the whole summer, so I didn’t have to buy new clothes as I have always loved a bohemian style at the beach: long dresses and skirts , wide shirts… So I was able to wear them. It’s more challenging now that I am back in Paris waiting for the birth as I don’t fit in my parisian clothes so I take my husband’s shirts and t-shirts and I wear loose pants or pregnancy leggins. Did you give up into any maternity brand? If so which one? Not really. I just bought some maternity bras and leggings for Yoga at Topshop online and they are great! Have you started shopping for the babies? Just meeting them, discovering what is like to be a mother and seeing them grow together.